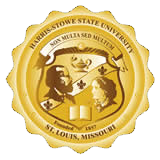 Harris-Stowe State University: Student Affairs Welcome Students! Use this website as a gateway to the many programs, services, facilities and Student Affairs staff available to you as a Hornet. We trust that you will actively pursue the broadest and most rewarding student experience possible. If any member of the Student Affairs staff can assist you in that pursuit, or with any problem of any nature during your tenure here at HSSU, please feel free to contact us. Please stop by and meet our dedicated staff. Your success is very important to us!